“Is this a good time to sell my house?” That’s one question that real estate agents are used to fielding, but as a homeowner, the answer might not be quite so obvious. Whether or not you should sell your house now or wait a few months (or years) depends on a number of factors, including the current market where you live, but there’s a lot that you can do to help educate yourself about the best time to sell a house and when to make a move. When you’re thinking about selling, it’s smart to take a close look at the market first and make sure you’re as informed as you could possibly be. Here are some of the biggest market considerations to take into account before you think about listing your house. It might seem counterintuitive to list your house when everyone else is also listing theirs, but consider the fact that buyers are definitely more active at different times of year in certain areas. Competition for buyers isn’t necessarily a bad thing when there are a lot more buyers available, so try to time your home sale according to the months of the year when buyers tend to become most active in looking for a home. In some markets, there’s no such thing as a “down season” — but in many markets, sellers will want to think about timing their home sale to coincide with the months of the year when buyers are the most active. Typically, home sales tend to wind down in the fall and winter, then gear up again in the spring and summer. In neighborhoods with lots of appeal for families, this is especially true; most families don’t want to move their kids in the middle of a school year, and particularly if that move is going to mean that the little ones will have to change schools, which can be hard even at the beginning of a school year. One of the beautiful things about living in 2018 is that it’s really easy to see when houses in your neighborhood are for sale. Any homeowner who’s thinking about selling should do themselves a big favor and start keeping tabs on the homes that are listed for sale on their block and in their neighborhood — pay attention to both listing price (the initial price that the seller is hoping to get for their house) and to the sales price (the actual price that a buyer ends up paying for the home) because they aren’t always the same; the homeowners may have cut the price to get buyers interested, or in a hot market, the house might have been in the middle of a bidding war. You can find listing prices using online portals such as Zillow, but your local real estate brokerage usually also has information around what’s sold in your area recently, which might be more accurate than what you see online, so it’s best to use a number of sources to determine what’s for sale in your area. This can be hard for any homeowner, but it’s absolutely critical if you want to get the best possible price for your house. It’s human nature to overestimate the value of our own possessions while underestimating the value of possessions that belong to others, and as of yet, there isn’t an equivalent of the Kelley Blue Book for homes, which are often unique and have attributes that can’t always be compared across the board. If most of the homes in your neighborhood have a Viking range in the kitchen and yours is a Whirlpool, then you probably aren’t going to be able to command top dollar for your house, just to name one example. We all like to think that our house is nicer, better-decorated, or just a little bit fancier than our neighbors’ houses … but this is not the time to indulge in fantastic ideas about how much more valuable your home should be than the property that just sold down the road. 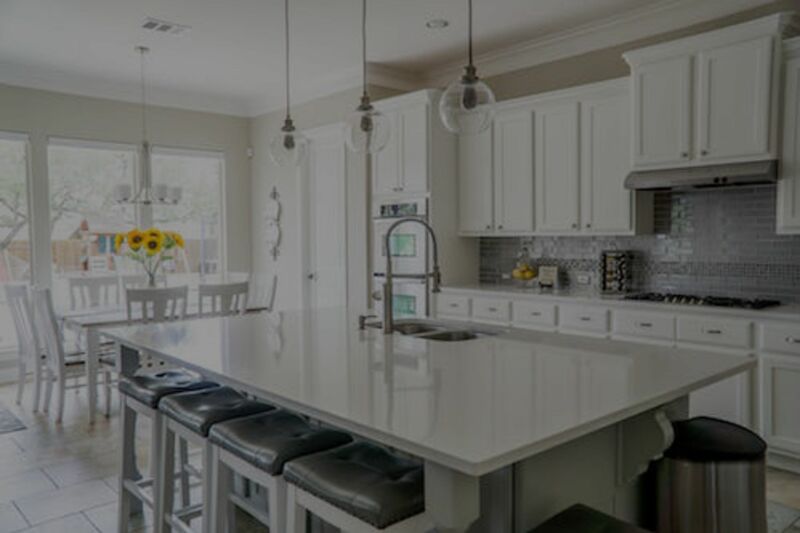 So spend some time seriously considering how every aspect of your house compares to the other homes for sale in your neighborhood, from the number of bedrooms and bathrooms to the lot size to the finishes and fixtures inside the home, right on down to the quality of your appliances. It’s OK if your house isn’t quite as nice as the other ones currently on the market — someone will still want to buy it! — but you’ll need to be realistic and price it competitively instead of trying to match or beat what your neighbors are asking for their home in terms of price. On the flip side, there might be some attributes of your house that bump it up considerably in desirability — and are relatively rare in the area, so you may be able to command a higher price than you thought. The details probably depend quite a bit on where you live and what’s common or uncommon there. For example, in a neighborhood on the plains where most of the homes are on flat lots, a slope to your yard that gives you a sweeping view of the area could interest the buyers in your market. By contrast, if you live in the mountains where most lots don’t have a lot of flat space for gardening or adding onto a house, then a flat lot with lots of usable space might be very desirable. The things that make your house special might be basic, on the other hand — maybe most homes in your neighborhood are one-bedroom or two-bedroom properties, but you have three bedrooms in yours. Or perhaps you’ve got a large antique bathtub in your master bathroom, where most homes just have a shower. Whatever the case, do a little digging into what a “normal” house and lot look like in your area, and then do your best to research what makes your house more desirable than the competition; it’ll come in handy when you’re writing the listing description if you do decide to list. When employment in an area is good, then buyers tend to have the ability to buy things. That sounds obvious, but it’s an important consideration when you’re evaluating the local market as a potential seller. If the biggest employer in town just closed its doors for good, this probably isn’t a great time to sell — but if there’s a new branch office of a major company that’s about to set up shop in your area, it could be the perfect time to think about listing your own house. Finding employment (or unemployment) statistics for your area is pretty easy, thanks to the U.S. Census and Google. Look at the national unemployment rate and national household income first, so that you have an understanding of how your own market measures up, then simply type in “unemployment (my city/town)” and “median household income (my city/town)” to see where you fall in relation to the national numbers. If unemployment is high and household income is low where you live, you might want to think about waiting before you sell — but if unemployment is low and household income is high, then it could be a really good time to consider selling. Buyers — even investors who plan to rent your house after the sale — are going to want to know that their investment is safe and that it’s in an attractive area for other buyers. Even if you don’t have kids, or your kids have long since graduated and left home, there are plenty of buyers with kids who might be an excellent prospect for buying your house, so don’t neglect your school research just because it doesn’t apply to you today; it’s quite possible that it could be a big selling point when the time comes to list. The average days on market simply refers to how long it takes homes to sell (on average) in your area. In hot markets, this might be one month or less — considering the fact that most homes need to be inspected and appraised, and a mortgage loan needs to get finalized, one month is considered very fast; the closing process in general can take three to four weeks. And in less-hot markets, you might see as many as 60 average days on market or more. The days on market can help give you a handle on whether your market is firmly a seller’s market or whether it might be more of a buyer’s market. Fewer days on market means that buyers are jumping on anything they can find that might suit their needs, while more days on market usually indicates that buyers have more leisure to take their time and consider their decision before pulling the trigger by extending an offer. Similar to days on market, the amount of available inventory can give you a sense of whether you’re currently in a buyer’s market or a seller’s market and how that might play out for your own home sale. You can usually find this through a Google search, though you might need to dig a little bit to get an actual number instead of a newspaper headline. Realtor associations or MLSs are good sources for finding inventory numbers for your area. Inventory is measured in a handful of ways — sometimes you’ll see it expressed as a total number of homes for sale, but sometimes you’ll see it expressed in months, which can be confusing if you don’t understand what it means. (No shame in that!) A “balanced” housing market usually has about six months’ of inventory, which means that at the current rate of demand, it would take six months for all of the houses currently on the market to sell. Fewer than six months of inventory indicates a seller’s market, and more than six months indicates a buyer’s market. Many data providers will also give you month-over-month or year-over-year percentage increases for inventory; this number simply describes how much more (or less) inventory there is this month or year than there was last month or year. One standard way that homes are priced both for rent or for sale is by the price per square foot. This is a very useful number for buyers who want to know whether or not they’re getting a “good deal” on a house, or who want to compare home prices between two properties that aren’t exactly the same size. Price per square foot is another metric that you can Google to pinpoint for your area to see what’s average — but be aware that an average price per square foot is going to include both the bottom of the barrel and top of the line when it comes to houses, so if you’re not sure how your home compares, it might be better to look at the median price per square foot, which can be a better measurement for a truly “average” house. A good real estate agent can help you determine a price-per-square-foot range for homes in your neighborhood or on your block, which is probably more useful than a market-level price-per-square-foot range. Mortgage interest rates usually matter more to buyers than sellers, but it’s smart to think about where they are and whether they might go up (or down) in the near future. As mortgage rates rise, the amount that buyers are able to spend on a home goes down because they will be paying mortgage interest every month along with insurance and taxes, not to mention paying back the actual loan amount that they borrowed, the principal. Of course, it’s impossible to predict the future, but if you hear several economists saying that mortgage interest rates are likely to go up next year, then it might make sense to list your house this year — when more buyers will be able to afford it. Conversely, if most experts agree that mortgage interest rates are going to dip again, then it could be a smart move to wait until those rates drop before you list your house. If you’ve ever sold a house before, then you already know it’s not free. You’ll need to make any minor repairs that you’ve been putting off, and it’s possible that you might have some major repairs to deal with once the inspector takes a look and gives you (and the buyer) the report. You may need to pay for paint for the interior, landscaping to boost curb appeal, professional cleaning for your floors or rooms that need it, storage for the items you’ll want to stash to help your house look its best, and depending on the deal you strike with the buyer, you may also have to fork over some money for closing costs. Plus, if you use an agent, you’ll have to take the agent’s commission into account; you will likely net more money than you would have without an agent, but it’s still a cost that sellers need to consider. After all, going with an agent can save you a lot of money in professional photos, home listing costs, and many other hidden expenses that agents typically cover for their listing clients. Will selling your house be worth it? Depending on the market, the answer could vary — so make sure you do your research before you make any decisions. Talking it over with a professional is always a good idea; real estate agents can also pull a comparative market analysis (CMA) for you to help you determine what kind of listing price is realistic, and give you a good idea of how long it might take to sell.